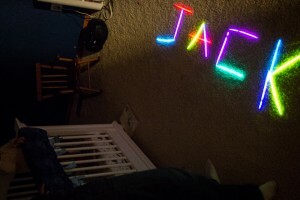 When our little guy was about a year and a half old, I ordered a case of a few hundred glow sticks off ebay for what turned out to be just a few cents each. They have probably been the most cost effective, versatile, and endlessly interesting toys we have. There is always excitement when they come out, and we never seem to run out of fun uses for them. 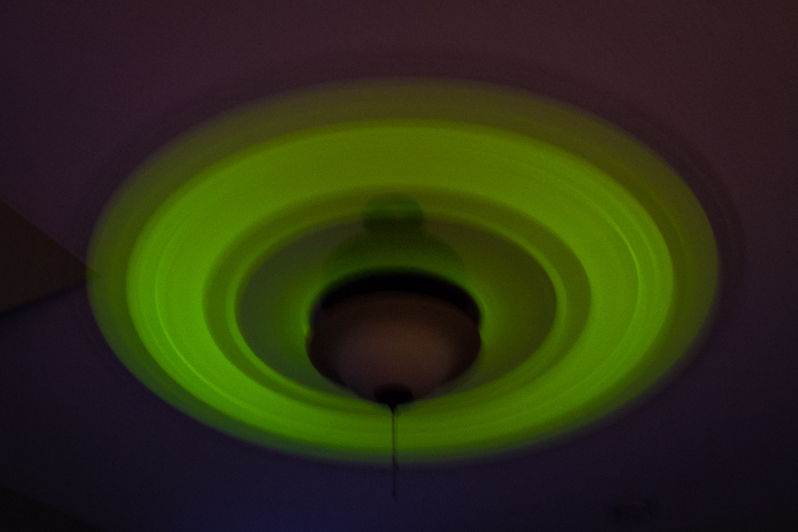 Some glow sticks and painters tape make a ceiling fan entertaining for hours. On low you can make spirals and patterns, on high you can see how colors mix or make ufos and planet rings. 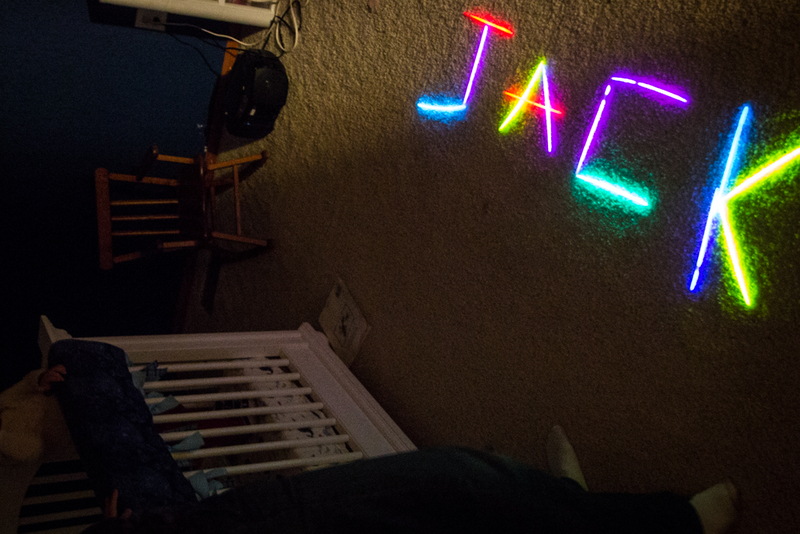 Glow sticks make great lights for exploring couch cushion tunnels or under the stairs. They are great for more interesting practice with colors, letters, words, and simple math. We have taped them on to paper airplanes and parachuted them with plastic bags. They are great for special toys when traveling or camping or as rewards for keeping a good attitude or using the potty. They are also great fun in the bathtub. Outside after dark they are great for hunting like easter eggs or as marker clues to scavenger hunts. You can make wristbands out of two colors for team games, or throw a handful on the trampoline and watch them dance. Of course, the internet has dozens of other great ideas for them. Overall, they are a great supply to have around if you have kids, right up there with the classics like popsicle sticks and straws.